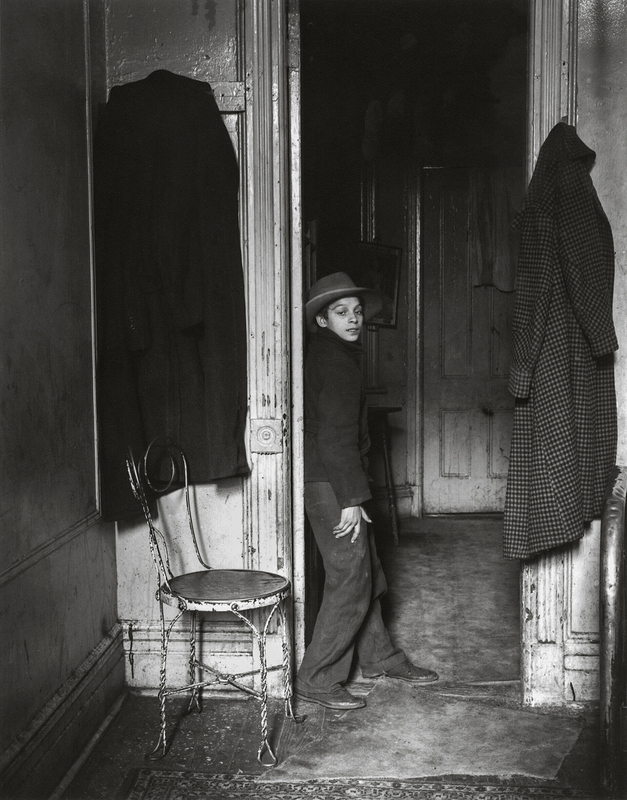 Helen Levitt fashioned an expressive visual reality from the formless flux and movement of street life in New York. A native of Brooklyn, she used the camera to reveal an unimaginable world of toughness, grace and gaiety, especially among the young. 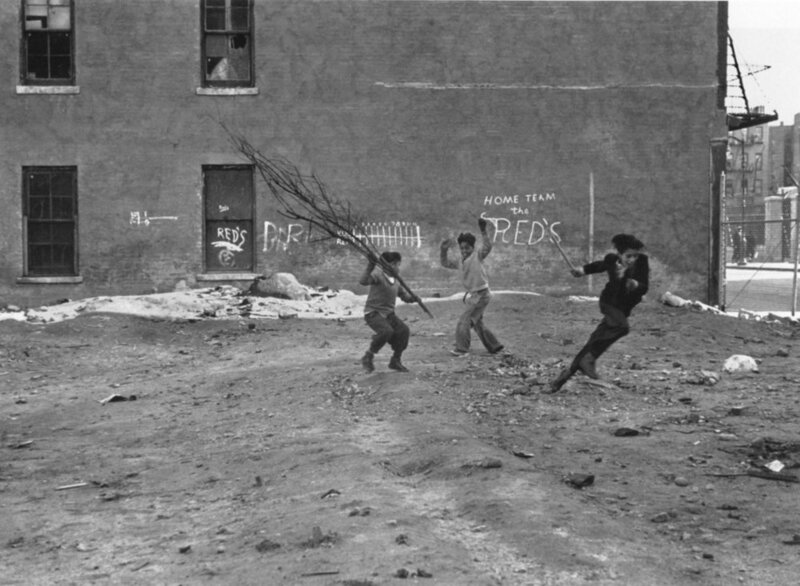 Starting in the late 1930s, Levitt photographed mainly in ethnic and working class neighborhoods because so much of daily life there takes place in the streets. She was always an observer, a passerby wholly enchanted with the human panorama and what some have called street theater. 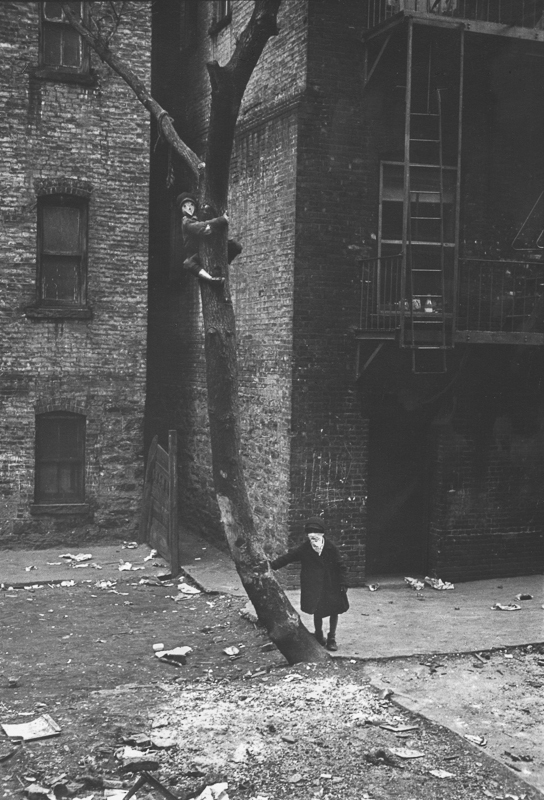 Though she disavowed her role as a sociologist or historian, her earliest photographs from the 1940s reveal a texture of communal life that appears worlds away from today’s social climate. Best known for her black-and-white images, Levitt still pioneered color photography, completing two Guggenheim Fellowships in 1959 and 1960. 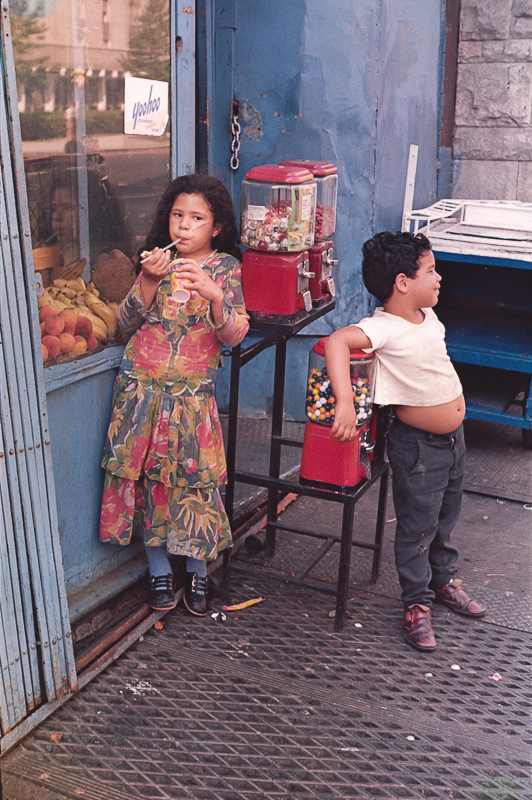 When 40 of her color prints were shown at the Museum of Modern Art (MoMA) in 1974, Levitt became one of the first photographers to have her color work exhibited. Her vibrant and engaging photographs recall a bygone era but remain both pertinent and mysterious; she has been called New York’s visual poet laureate.